Do you ever look in the mirror and focus on a particular body part you are unhappy about and then start to be hypercritical and notice and worry about other parts of your body too? You wish your bum wasn’t quite as big in those jeans and then you notice your thighs and the wrinkles on your knees and soon your negative, super critical thoughts are out of control. 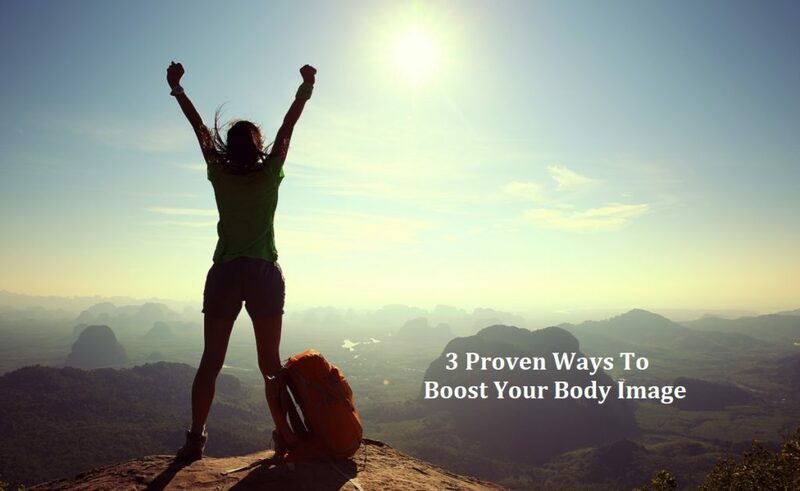 Here are three ways you can nix those negative thoughts and give a positive boost to your body image. Thoughts race from one thing to another because they are fueled by adrenaline. We think something negative about one part of the body and those thoughts spiral, increasing our anxiety about how we look until we can start to feel utterly hopeless about our whole body. This simple grounding trick helps you get out of your brain and into your body so you can feel how strong and capable your body is. Start by standing up. Feel that negative energy fueled by those criticisms you are saying to yourself. Let the energy travel down from your brain, through your body and down through your legs and feet. Like roots of a tree the energy is connecting you to the floor. Feel how strong your legs are. Feel the energy coming down your arms and out of your fingertips, shake it out. Be present in your body and breathe in slowly for the count of 4, hold for 4 and breathe out for 4. Now that your brain isn’t racing, let’s take a calm look at those critical things you are saying to yourself and challenge their validity. Try to notice what exactly you are saying to yourself when you are being critical about your body. You are probably being very harsh on yourself. You wouldn’t dream of saying those things to anyone else so why is it okay to talk to yourself that way? Write down a list of your top-ten strengths: What do you like about yourself? What do you do well? Many people I work with find it hard to come up with a list of positive things about themselves, so I suggest they ask a couple of supportive friends to chime in too. Not just about how you look but who you are as a person. When you stop judging yourself so harshly, you begin to see your strengths, as well as your perceived flaws. Build up yourself-confidence by talking nicely to yourself and by reminding yourself of everything you have to offer the world is a powerful tool you can use to head of self-criticism. Another way to get your body to influence your mind is to do the “Wonder Woman” stance, feet apart, hands on your hips , chin up and shoulders back. Smile! Tell yourself you are great. Louder, I didn’t hear you! That’s right, loud and clear, smile and tell yourself how great you are! 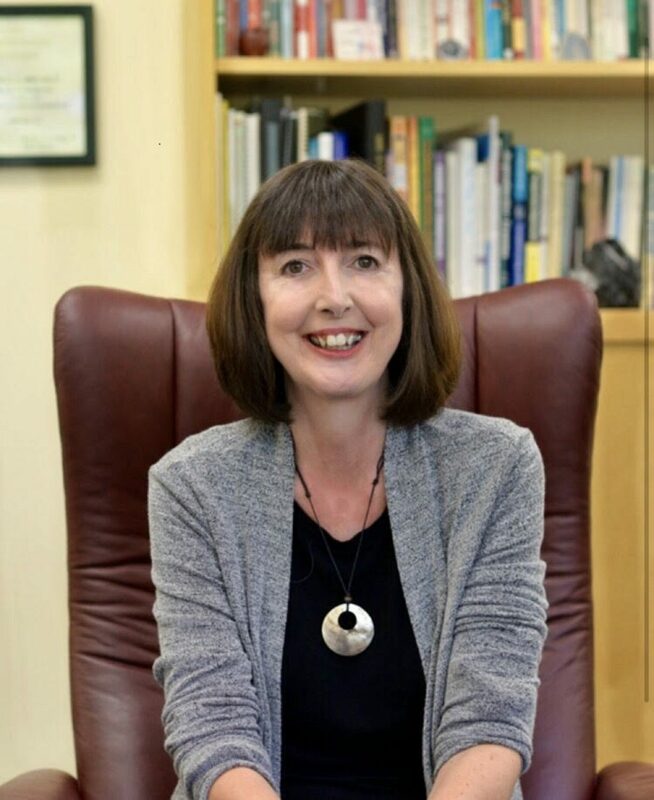 Ann Cuddy’s research on body language found that adopting a positive and strong body pose can actually subconsciously change the brain to give us a message that we are a confident person. It also reduces cortisol levels (the stress hormone)and so reduces stress levels. 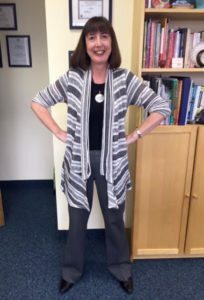 Cuddy’s research showed again and again that when people adopt an expansive confident stance they actually feel more confident and better about themselves. I was recently interviewed by Reader’s Digest for their great article with advice to boost body image. Please click this link if you would like to read it 12 Proven Ways To Boost Your Body Image in 10 Minutes or Less. Body image issues often go hand in hand with eating and weight issues. 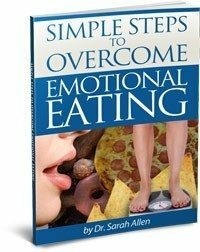 To find out more about emotional eating and to download the free booklet Simple Steps To Overcome Emotional Eating (which includes questionnaires to find out what if you are an emotional eater and if yes, type of emotional eater you are) use the sign up form below the book. 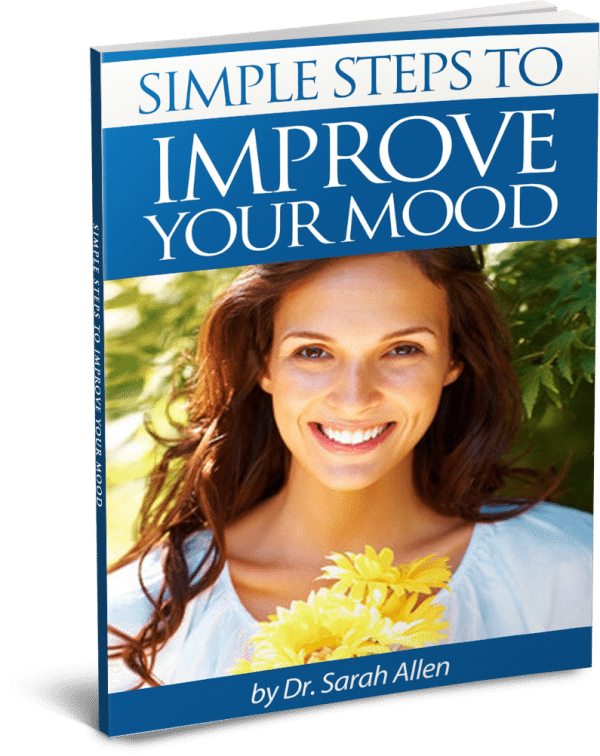 Dr. Sarah Allen specializes in empowering women to live the life they want. 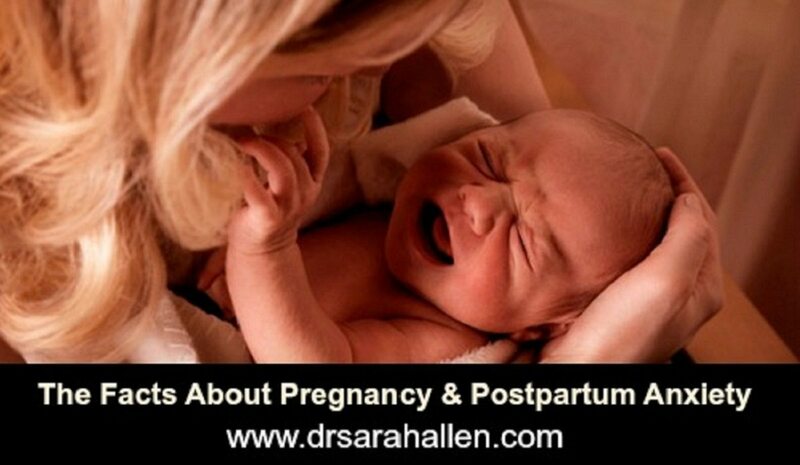 Visit www.drsarahallen.com for more blog posts on a variety of issues relevant to women. She sees clients in her Northbrook office or via telephone or Skype sessions. She can also be reached at (847) 791-7722 or by the form below. There has been a growing awareness about Postpartum Depression over the past decade and doctors offices now routinely screen moms for it but I think anxiety, during pregnancy and after having a baby, is nearly as common and just as debilitating. It is time to focus on how many women are effected by anxiety and educate our community so we are all aware of the symptoms and how to access appropriate help. Approximately 6% of pregnant and 10% of new moms experience anxiety, and remember that statistic comes from the number of women actually reporting it so imagine how many women go through anxiety and don’t mention it to their doctors or reach out for help. You are definitely not alone in going through this and treatment is available and really can help. Let’s start with pregnancy. Pregnant women get a lot of advice about what they should do or not do from everyone and their dog. It can make you a little paranoid. The process of trying to get pregnant, fear of miscarriage, especially if there is a previous loss and what is going to happen to your life can all cause anxiety or exacerbate pre-existing anxiety. A lot of my clients say that they have always been a worrier and others say they weren’t anxious until getting pregnant. When the baby arrives every new parent worries that they don’t really know what they are doing and somehow, inadvertently, they may do something, or not do something, that causes harm to their baby. Are they getting enough milk, sleep, developing okay??? Until a baby arrives, you don’t realize how totally vulnerable a little human is and now you are totally responsible for it! This can be scary sometimes but these worries are totally normal and everyone gets them occasionally. What we are talking about here though is something quite different, postpartum anxiety is more intense and persistent than typical new parent concerns. If you have any of the symptoms below for most of the day, you probably have postpartum anxiety. If they persist for more than a couple of weeks after the birth (the baby blues effect 80% of women but within 2 weeks mood swings typically calm down) or come on anytime in the first year and last two weeks or more, then it is important to seek support. Racing thoughts – they go round and round in your brain with no off switch. Worrying – it’s constant, you know the concerns are excessive but that doesn’t stop the worries and when you stop worrying about one thing, your mind jumps to another. Worries often surround the well-being of the baby or your other children, partner and yourself. Women worry they are going crazy and have a feeling of dread in the pit of their stomach. Lack of concentration – your focus flits from one thing to another and memory is poor. Restlessness – you are exhausted but so agitated you can’t settle or relax. Sleep disturbance – you can’t sleep even if the baby is sleeping and when you drop off you don’t wake up energized. Irritability – you may be able to hide it from friends, your partner will probably be getting the brunt of it. Physical tension – your muscles are balls of tension, possibly leading to neck, shoulder and backaches. No appetite – women want to lose the baby pounds but this isn’t the way to do it. Even though you know you should be keeping hydrated and your energy up, you have no appetite for food and may feel nauseous a lot of the time. There are subsets of anxiety symptoms that are important to differentiate. Panic attacks are like anxiety multiplied by 10. They have a sudden onset and are accompanied by intense fear of something bad happening. Physical symptoms include shortness of breath, chest pain, dizziness, heart palpitations (people often think they are going to have a heart attack), sweating and gastrointestinal upset. Emotionally you may feel that you are going to somehow lose control, go crazy and may start to avoid situations where you have experienced panic attacks for fear of one happening again. 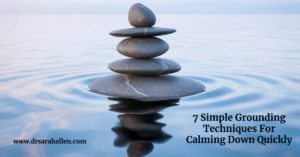 Panic attacks seem to go in waves, but it is important to know that they will pass and will not hurt you and there are techniques to calm your mind and body down. OCD is the short name for obsessive compulsive disorder. Obsessions are unwanted thoughts that pop into your head totally uninvited and during pregnancy or after childbirth these thoughts typically revolve around some harm coming to the baby. The thoughts, images or visions can be really horrific and seem very real. Women tend to not tell anyone they have these thoughts for fear of what others may think of them. When we keep thoughts in our head though, they grow more severe and even more frequent. A lot of time (but not always) the thoughts are accompanied with a compulsion (an overwhelming belief that you MUST do a certain behavior or think certain thoughts in the belief that this will stop the bad thing from actually happening). Women worry that having these types of thoughts means they are going crazy. When stories get in to the news about postpartum women it is usually because the woman has postpartum psychosis and has done something horrific like harm her baby or driven off a bridge. Those stories are so horrible that the news media jump all over them but only 0.1% of new moms experience postpartum psychosis ( termed PPP). IT IS RARE! Furthermore, only about 4% of this 0.1% harm actually harm themselves or their baby so the likelihood that you are having a psychotic episode (i.e. are not in touch with reality) and will actually cause harm is EXTREMELY RARE but it makes headlines. About 3 -5% of women experience postpartum OCD so although it is not talked about as much as postpartum depression, it is pretty common and the most important thing to remember is that if you know these thoughts would be a bad thing to do, you are experiencing OCD, not psychosis. The main symptoms of PPP include delusions or strange beliefs, hallucinations (seeing or hearing things that aren’t there), feeling very irritated & hyper, decreased need for or inability to sleep, paranoia and suspiciousness and rapid mood swings. In a psychotic state, a woman’s delusions and beliefs make total sense to her (but would be irrational to others) and feel very meaningful. Risk factors for PPP are a family history or previous personal history of psychosis or bipolar. Treatment needs to be immediate and requires hospitalization. You see, it is very different from having anxiety-provoking horrible thoughts and still being in touch with reality. Postpartum post-traumatic stress disorder (PTSD) following a difficult childbirth is more common than you think. It is triggered by a real or perceived trauma during delivery and can effect up to 6% of mothers. The traumatic experiences usually leave a women feeling that either her life or the life of her baby is at risk during the labor or shortly thereafter. Symptoms of fully fledged postpartum PTSD might include intrusive re-experiencing of a past traumatic event (which in this case may have been the childbirth itself, shortly after or events leading up to going to the hospital), flashbacks or nightmares, avoidance of stimuli associated with the event, persistent increased arousal (irritability, difficulty sleeping, hyper-vigilance, exaggerated startle response), anxiety and panic attacks, and feeling a sense detachment. What I often see in my practice is that women who have had a difficult labor don’t necessarily have the flashbacks and nightmares but they are left with persistent anxiety and hypervigilance about potential harmful things happening in the future or guilt and regret about how labor turned out. 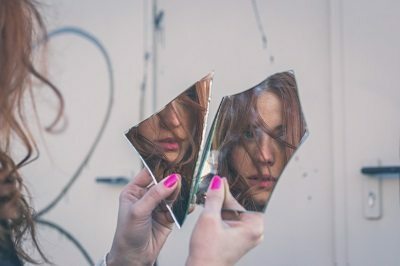 After reading this article do any of these feelings seem familiar? What I really want you to take away from reading this is that pregnancy and postpartum anxiety is much more common that you think it is. Many of the women you know have probably experienced the same thing but just don’t talk about it and struggle on. Anxiety is very treatable though. You don’t need to struggle by yourself. In particular, I find that cognitive therapy is the most effective way to get on top of anxiety. Also known as CBT, it is a problem-solving type of therapy and helps you learn ways to calm down quickly, develop coping strategies and think about things in a different, more helpful way. 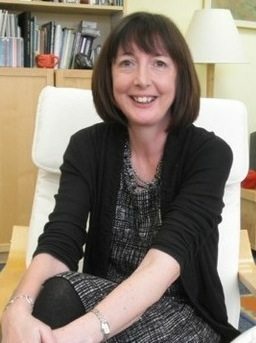 I use CBT anxiety-reducing treatment strategies and combine them with 20 years of experience of working with new moms and the knowledge I gained raising 3 children of my own. I have two free booklets that are full of information which will be useful to you. 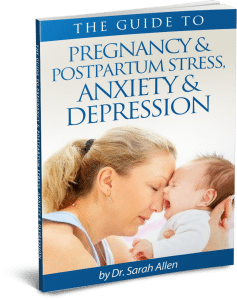 A Guide To Pregnancy & Postpartum Stress, Anxiety & Depression has more information about symptoms, risk factors, how to look after yourself and treatment options. 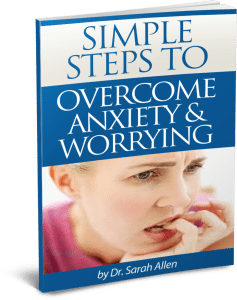 Simple Steps To Overcoming Anxiety & Worrying can be downloaded below and is full of practical tips and exercises to get anxiety more under control.